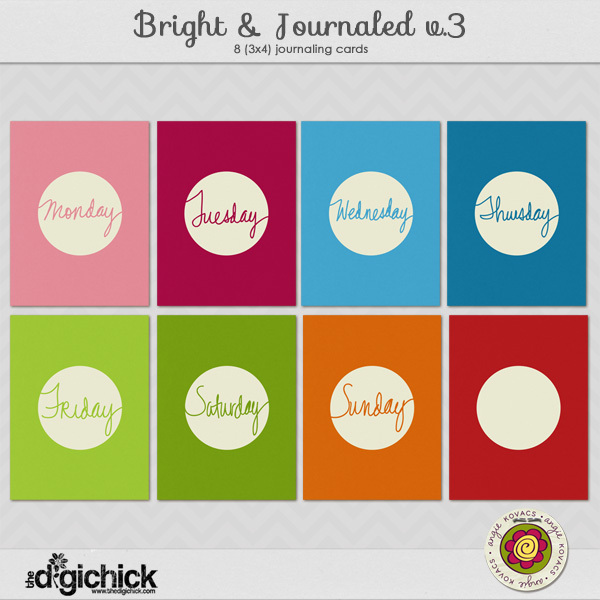 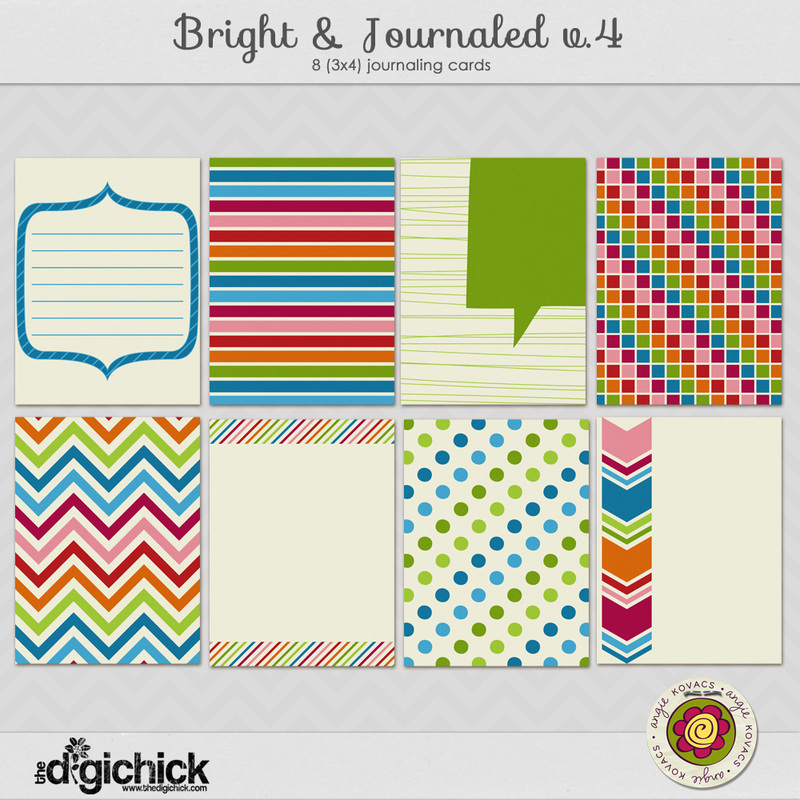 Get it journaled and done with this 4 pack combo of the Bright and Journaled journaling cards. 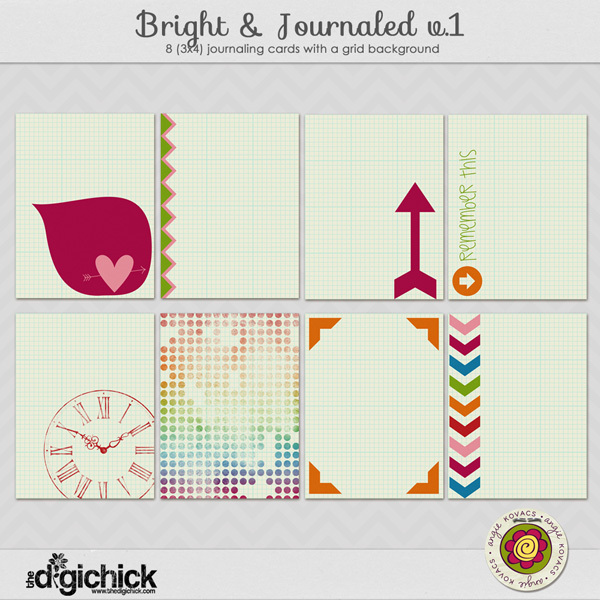 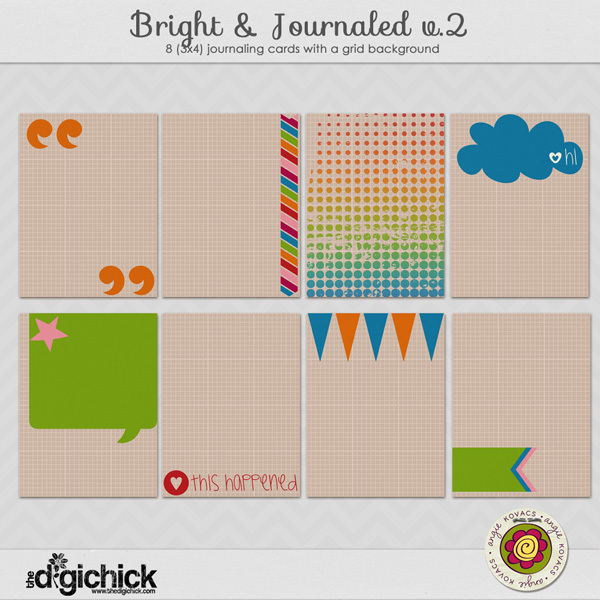 Each of the 4 sets contains 8 different journaling cards in 3×4 size, saved as JPG files. Type your journaling onto them, use them for paper layering, or just slip them in the pockets as is. 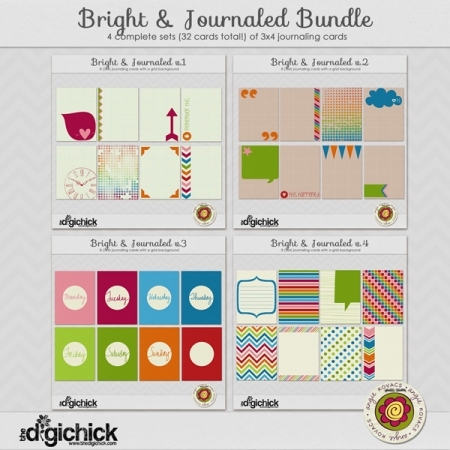 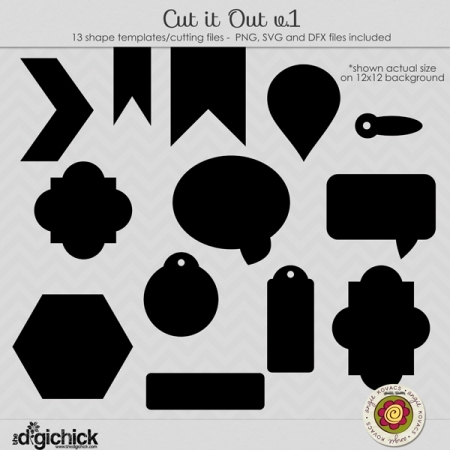 You’ll find lots of uses for these, and by buying the combo pack, it is almost like getting one set free!